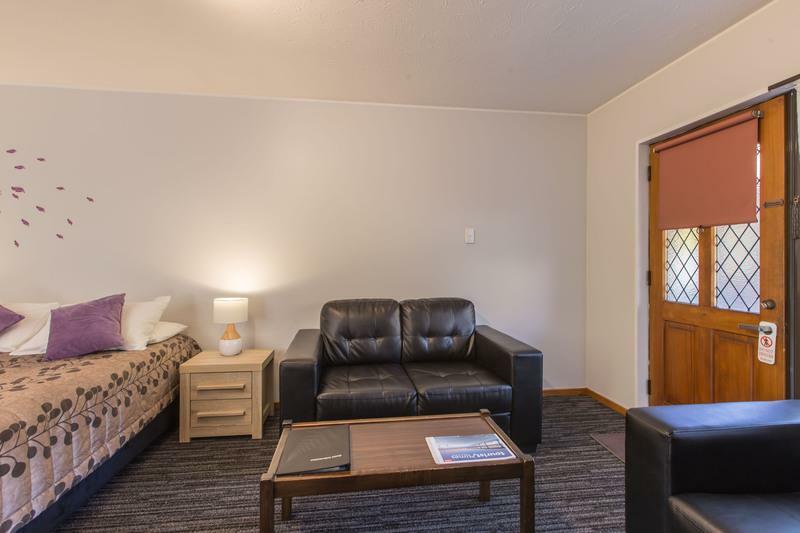 Twelve room property overlooking beautiful Hagley Park with a mix of studio and one bedroom units which cater for corporates, couples and families. Free off street parking. Guests can walk through the park and Botanical gardens to the city. Westfield mall, 24 hour dairy and a diverse range of restaurants/cafes just around the corner on Riccarton Road.Christchurch Public & Women's hospital 1km away.Horncastle Arena, Addington Raceway & AMI stadium 2km away. Free Broadband internet for direct reservations. All rooms have full kitchen facilities -some with stove-,ensuite bathroom with shower are double glazed and designated non smoking. Welcome basket containing plunger coffee, hot chocolate, cookies, toffees, milk and discount vouchers for local restaurants and attractions given to guests at check in. Complimentary pick ups from the train station by arrangement. Transfers to the train station for the TransAlpine and TransCoastal arranged - charge applies. Continental & Cooked breakfasts delivered to rooms. Studio with King bed. Room is double glazed and designated non smoking. Sleeps up to 2 people. One bedroom suite. King bed in the bedroom. One single bed in the lounge. Room is double glazed and designated non smoking. Sleeps up to 3 people. One bedroom suite. One double bed in the bedroom. One queen bed in the lounge. Room is double glazed and designated non smoking. Sleeps up to 4 people. One bedroom suite. One single bed and One double beds in the bedroom. One queen bed in the lounge. Room is double glazed and designated non smoking. Sleeps up to 5 people. One bedroom suite. Three single beds in the bedroom. One queen bed in the lounge. Room is double glazed and designated non smoking. Sleeps up to 5 people.